​Pierre-Emerick Aubameyang has reinforced his desire to start alongside Alexandre Lacazette up top for Arsenal, despite scoring the winning goal against Watford. The Gabonese striker was the difference maker for Arsenal on Monday evening, netting the only goal of the game against Watford as he capitalised on a mistake from Ben Foster. The win sent the Gunners back into the top four at the expense of Chelsea, setting up an exciting race for a Champions League spot. The 29-year-old started up top by himself and, in a post-match interview (via ​Football.London), he insisted that he would much prefer to line up alongside his ​Arsenal ​striking partner ​Lacazette. He then added: "I don't want to say that I like playing with Laca because the coach might be..." before tailing off into laughter. 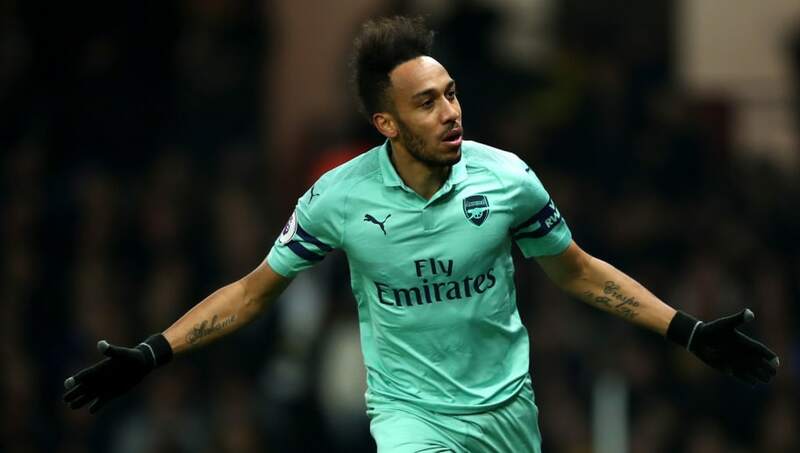 The goal was ​Aubameyang's 18th of the season in the Premier League, which places him one goal behind ​Mohamed Salah and ​Sergio Aguero in the race for the golden boot. With the race to finish as the division's top scorer remaining incredibly tight, the Arsenal striker claimed to be confident of adding to his current tally. "Why not? I feel confident. The [top scorer] race is going on. I know it's a tough battle. I will carry on." he said.